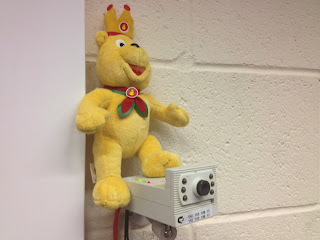 So earlier this week when Big Boy went to School he left me in charge of Thomas and Pom Bear. 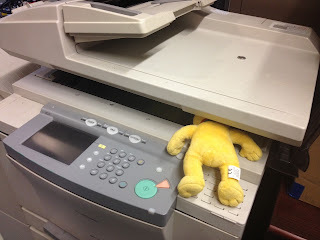 Today Pom Bear had other ideas and smuggled himself to work with Daddy. 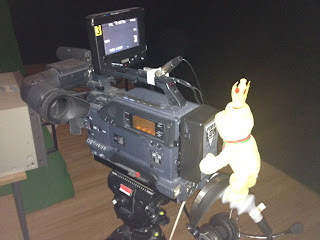 Just in case you are wondering Thomas stayed home with me, TV Studios are not suitable daycare for invisible children. 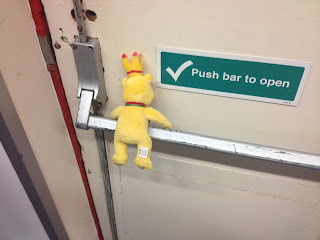 Pom Bear found it quite hard to actually get into the office, but that might have been because he was trying to get out of a door instead of realising he was already in the office! 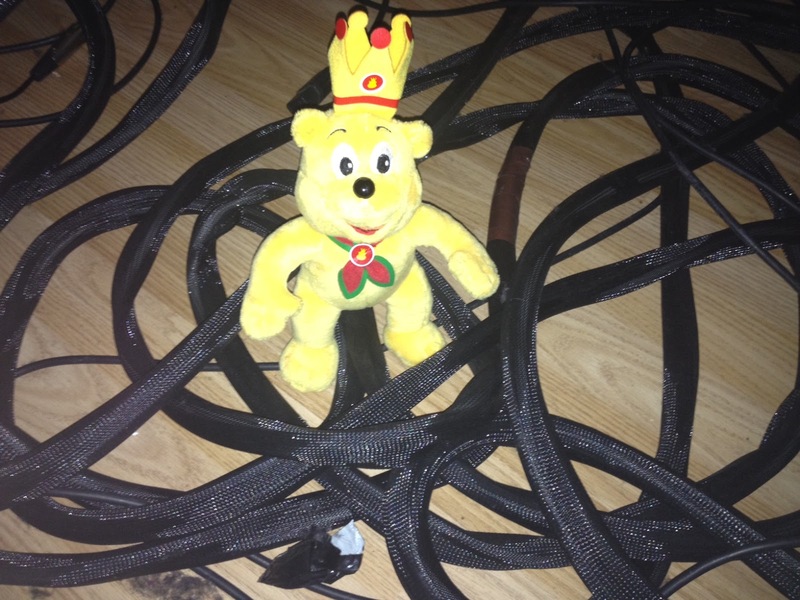 Daddy thought he would put Pom to good use though and gave him some cables to untangle. Pom would still be there if Daddy hadn't stepped in to help. Some of the other guys in the office thought that Pom Bear should help them too and so had him looking for some spare parts. As long as it wasn't sky hooks and tartan paint, Pom wasn't going to complain. As Daddy's office is also a TV Studio, Pom thought he'd help by making sure the Studio 3's Camera's were set up right. 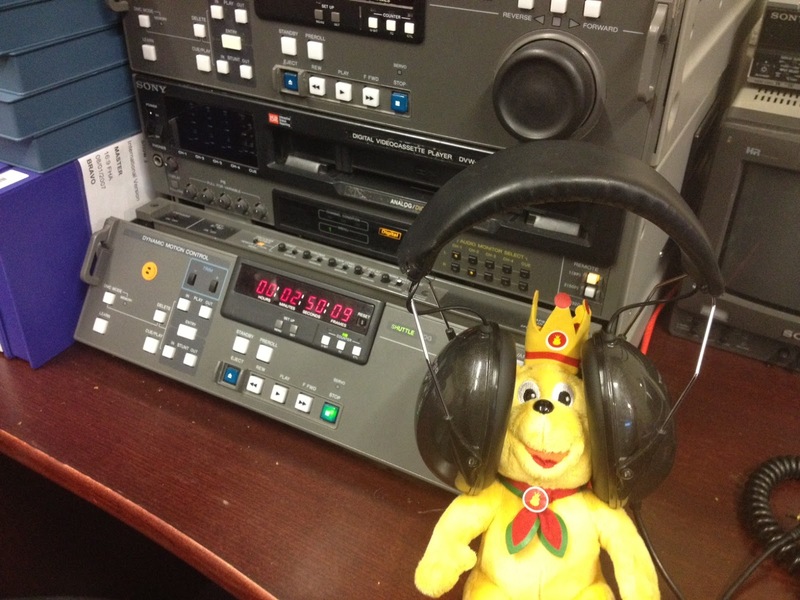 And as he did such a great job he got to sit at the Directors desk and direct a live show. It was very good. 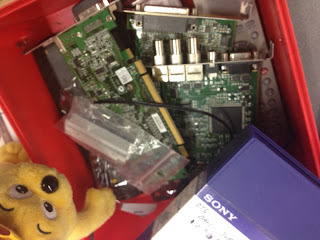 After the Show had aired, Pom and the crew broke for lunch. 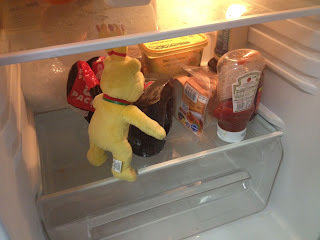 Pom was very disappointed with what he found in the fridge. 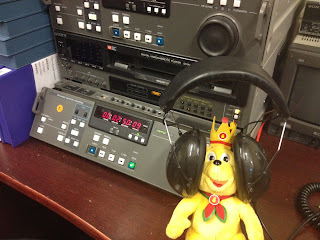 There were a few Tapes to ingest after lunch (ingest means turning a tape into a digital file, like if you Rip a DVD). A quick spot of photocopying found Pom in a dangerous situation. 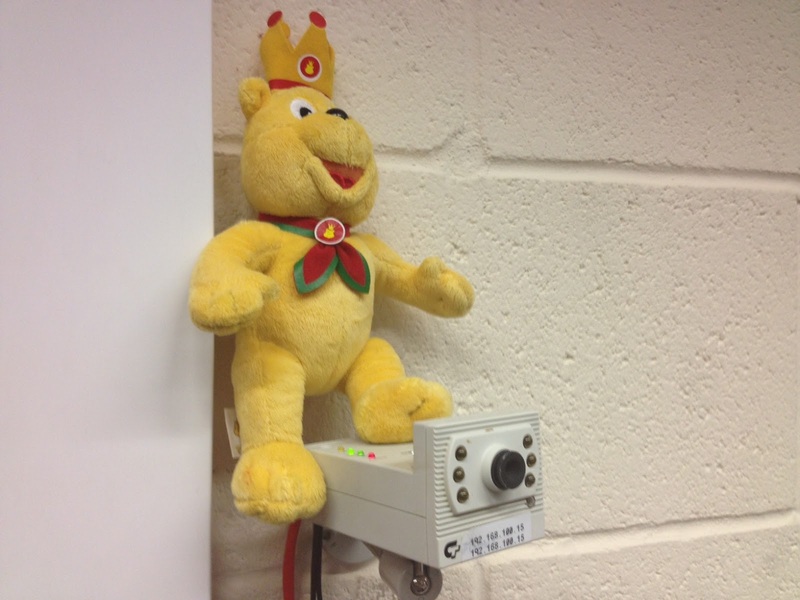 So Pom checked that the CCTV cameras didn't catch him, as he wouldn't want it to end up on TV! 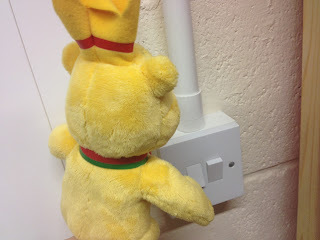 And with Pom's working day over he switched off the lights before jumping in to the car to come home. Where will Pom Bear decide to have an adventure next?